Getting paid to deliver food is a pretty easy and fun way to make money. Being able to do it on your own schedule sounds too good to be true but it's not. 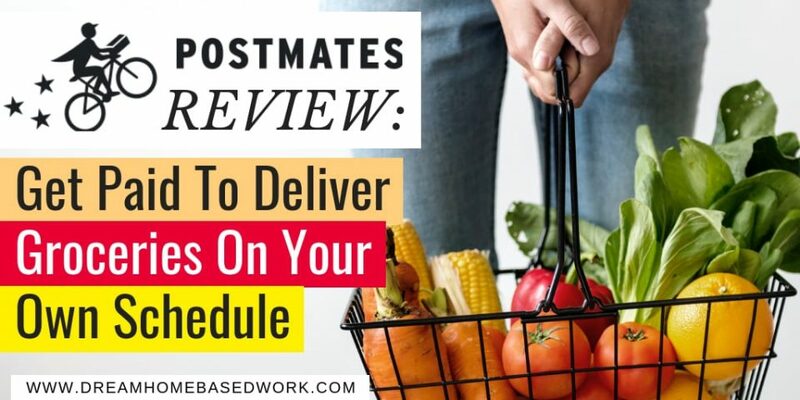 In today's society where activities like ridesharing renting out your spare room to travelers is totally normal, companies like Postmates are making it super easy to deliver food on a flexible schedule and work as little or as often as you like. Postmates was established in 2011 as a local restaurant delivery service. Restaurants partner with the service and delivery drivers get paid to pick up the food and bring it to customers. This company is similar to UberEats and Instacart. Now Postmates is known for delivering much more including groceries and alcohol. They even have a personal delivery service where you'll only pay $7.99 per month. When I say delivery ‘driver' you can actually deliver via bike, scooter, or even on foot if you're nearby and don't have a car. So how do you start delivering with Postmates and how much can you earn? Let's go over the details in this review. The great thing about Postmates is there are very little requirements you need to meet in order to join the fleet and start delivering. Postmates also gives you all the tools you need to complete the job. You'll accept orders on the Postmates app and a prepaid card to grab everything you need. As part of the Postmates fleet team, you'll receive delivery requests within the app and then head to the restaurant or store. Customer service will place the order if they can but if they can't, you'll have to place the order at the store. You can use your Postmates prepaid card to pay for the order. Then, take a picture of the receipt and submit it to support via the app. Then, deliver the items to the customer's location using the directions you receive via the app. How much you can earn varies since you can set your own hours and choose when you want to deliver for Postmates. It can be a great job to do when you're off work from your main job, during the evenings and weekends, or even as a full time job if you live in a city with enough traffic and orders. You can expect to make around $8 – $20 per hour depending on your market and orders. The minimum amount you can earn per delivery is $4 but you can earn much more than that. You'll be paid a fee for pickup, drop-off, time spent waiting at the restaurant or grabbing the items at the store, and you're also paid per mileage for each trip so it really adds up. Sometimes, hourly rate guarantees are made but you must accept every delivery order you get to earn it. 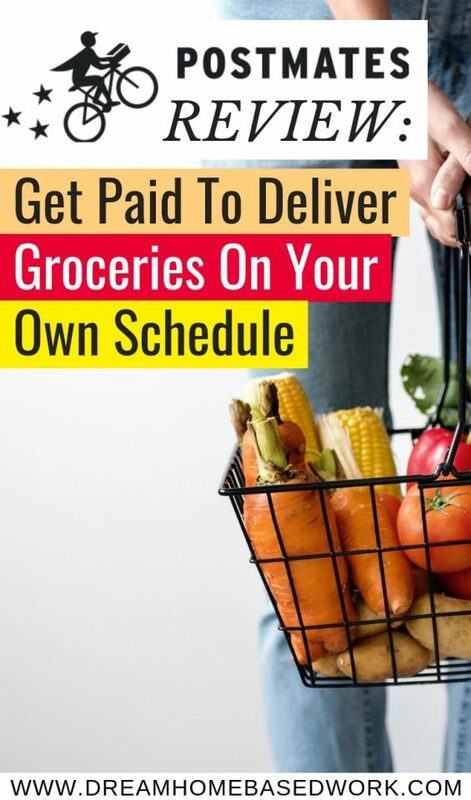 You'll get paid within 4-7 days of completing each delivery job. Postmates has generally positive reviews on Glassdoor. People like the flexible hours and the pay for the deliveries they complete. Competitive incentives are another perk some drivers have mentioned. Some downsides are that there isn't really any room for growth as how much you earn depends on how much you work. Some also noted that the pay varied and as a contractor position, you must be responsible for paying your own taxes. All in all, Postmates may an ideal opportunity if you're looking for flexible work that's pretty simple and straightforward. To get started and join the fleet, click here to sign up. Once your identity is verified Postmates will drop your free delivery bag and prepaid card in the mail. Then you can link your prepaid card, get the Fleet app, and go online to start accepting delivery offers. Good luck, and if you decide to join the fleet and make some extra money with Postmates be sure to let us know how it turns out!